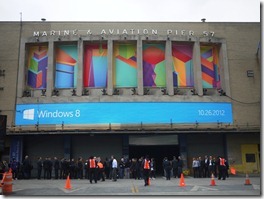 I spent the last few days in New York to take part in Microsoft’s Windows 8 launch. During his part of the keynote, Microsoft CEO Steve Ballmer called it “Windows reimagined,” and in my view, it’s a lot more than a tagline for a number of reasons. Windows 8 represents a pretty big shift as an OS redesign. With Windows 8, Microsoft developed a unified OS to support a whole range of products from desktops and laptops to smartphones and tablets. Like I mentioned in my initial reaction blog post back when Microsoft discussed Windows 8 for the first time from the D: All Things Digital event, I like the bet. It’s an approach that makes sense in my book. Windows 8 brings a lot of new functionality to the table, without raising the bar for hardware requirements. As such, you can expect Windows 8 performance that meets and exceeds what you’re used to with your existing hardware running Windows 7. It brings the touch experience to the forefront. It introduces Live Tiles as a core component of the Windows 8 Start screen and the Windows 8 interface overall. If you have used Windows Phone before, you know that the touch experience is a smooth one. Windows 8 retains that same sense of responsiveness and fluidity. The difference is that touch experience is core to the operating system itself. Windows 8 was built from the ground up to be a touch-centric OS. I’ve used Windows 8 on machines like the XPS 12, our S2340T touch monitor, the XPS 10 tablet and the XPS One 27 AIO and the result is the same—the intuitive touch functionality works incredibly well. And even though touch is a prevalent part of the OS itself, you can still use the keyboard and mouse just like you’re used to. Windows 8 also brings gestures to laptop touchpads in a big way. In subsequent posts, we’ll dive deeper into touch, keyboard and mouse tips and tricks and will spend more time talking about touchpad gestures. Windows 8 Start screen brings the concept of Live Tiles to laptops and desktops. I’ve been a fan of Live Tiles since Microsoft made them part of Windows Phone 7. 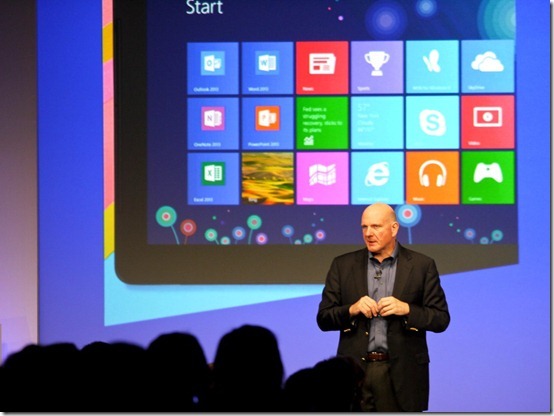 Live Tiles are colorful squares that form the basis of Windows 8’s overall visual appearance. But they go way beyond aesthetics. The Live part of the name comes from the dynamic nature of the tiles. Live Tiles surface information in the form of images, news stories, email or text messages, or even status updates from social networks like Facebook. The cool part is that Live Tiles surface this information on their own. If you want to dive a bit deeper into the information, just touch the tile to see more. Together, your collection of Live Tiles help make your Windows 8 start screen come alive with activity compared to the static icon experience you’re used to on other operating systems. If you read some of the articles out there regarding the Windows 8 launch, it’s pretty clear that the Windows 8 launch is a big deal to Microsoft. After seeing some of the launch activities here in New York for the past few days,it’s clear that Microsoft is putting an unprecedented amount of support behind it. First the October 25 launch event at Pier 57, then the awesome showcase and live product demos of Windows 8 hardware they have going in the middle of Times Square through the weekend, the ringing of the opening bell at NASDAQ yesterday, plus additional activities like the Microtropolis product hardware showcase they’re publicizing in the city for the next couple of weeks, I’ve never seen a launch like it. I’ll upload more of some of my pictures soon. 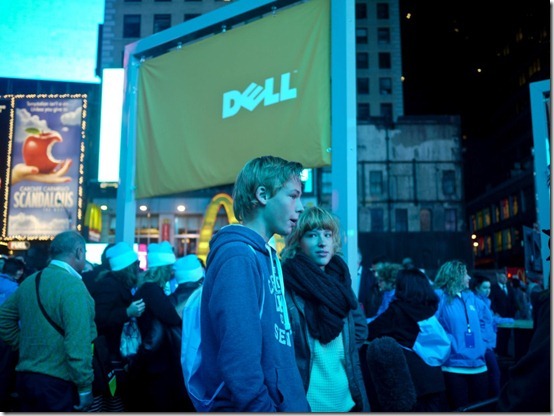 Update from Lionel: I recently added three sets related to the Windows 8 launch activities on Dell’s Flickr page: Windows 8 Launch Event – NYC, Dell in Times Square – Windows 8 Launch, New York City and NASDAQ Opening Bell. Speaking of the product showcase in Times Square, I can say firsthand there was much interest in the XPS 12 convertible Ultrabook and also the XPS 10 Windows RT tablet. Many people that I saw were surprised by the As a desktop guy, it was great to see a lot of interest in the XPS One 27 all-in-one desktop. The combination of the quad HD display and the smooth touch interaction that Windows 8 provides was a combination that lured a lot of people to walk up and give it a try. Some snapped self portraits with the integrated webcam. Others made drawings using the Fresh Paint Windows 8 app. In both cases, lots of those images and drawings were featured on the big interactive screens around Times Square. Definitely a cool thing to be a part of. Here’s a quick video that gives a little idea of what it was like. I’ve got a bit more processing to do, but soon I will add images from the Windows 8 launch event, the Times Square product demo and more on Dell’s Flickr page. Lots of us here at Dell have been looking forward to Windows 8, and I know lots of Microsoft employees have been working for years to get to this point. Speaking o that, the video below, I was able to talk with John Case, Microsoft’s VP of OEM Marketing. He and the team did a great job supporting OEMs like Dell both at the New York events and a lots of things leading up to the launch. It’s pretty amazing that Microsoft was able to have more than 1,000 Windows 8-certified devices ready for the launch. One other thing I wanted to cover in this post is to let you know that we’re here to help answer questions you might have about Windows 8 if you’ve been waiting to buy a new PC, or if your one of the millions of Dell customers looking to upgrade your Windows 7 machine to Microsoft’s flagship new OS. Starting next week, we’ll start sharing information about topics like what to expect when you buy a Windows 8 machine from Dell, getting started with the basics of Windows 8, learning how to modify your start screen to personalize your experience, and more. We’ll be publishing Windows 8-related content in several places moving forward, including sites like our official Facebook page, LinkedIn page or Google+. Here’s some other noteworthy links if you’re interested in keeping up with Dell Windows 8 content. The global version of the Windows 8 Support page: Click on your country, then choose your segment. This will get you to the Windows 8 support page specific to your country. @ewoodrick: Most likely because like previous major OS transitions, the traction takes off initially in the Consumer products. That's why we focused our efforts on products like the XPS 10 tablet and the XPS 10 convertible for the short term. So why are there no Latitude touch screens? @StvBrk: I understand and agree that the Windows 8 interface is a lot different than Windows 95 (or any other version of a Microsoft OS. No question it does take a bit of getting used to. In my experience, spending some time personalizing the Start screen goes a long way. Even then, it is relatively easy to stay in desktop mode, which works very similar to the Windows 7 interface. In my view, Windows 7 is an advanced version of what Microsoft introduced in Windows 95. Much of the core navigation is similar. My point is this… give desktop mode a try and see if that's a better fit. Either way, whatever choice you make down the road, I hope it works well for you. When will the Latitude E5520 get a BIOS update that supports Windows 8 features such as fast boot and seamless boot and ACPI 5.0 like the Latitude E5530 got with A07? As both models are quiet similar, it should not be that much of a big deal.